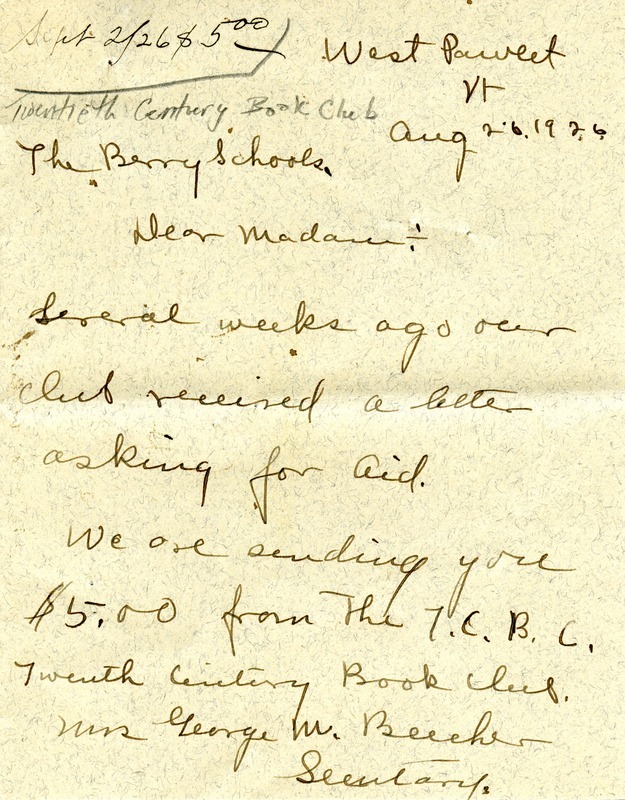 Mrs. Beecher's club, The Twentieth Century Book Club, sends $5 in response to an appeal letter asking for aid. Mrs. George M. Beecher, “Letter to Martha Berry from Mrs. George M. Beecher.” Martha Berry Digital Archive. Eds. Schlitz, Stephanie A., Chelsea Risley, Alan Henderson, et al. Mount Berry: Berry College, 2012. accessed April 24, 2019, https://mbda.berry.edu/items/show/3536.